Enhance the natural qualities of the site, which sits adjacent to very important landscape features. 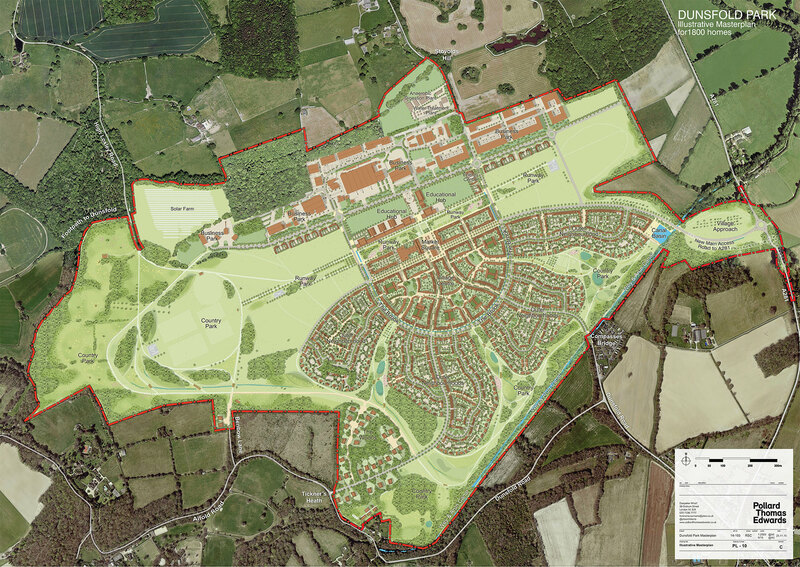 By transforming the entire Dunsfold Park site we have the opportunity to create an attractive, pedestrian-friendly place to live and work, set within significant areas of public open space and with facilities for recreation, shopping and leisure. We also intend to expand the business park, adding over 30,000 square metres to the existing employment space. This will help to meet an increased demand for high-quality employment space, benefiting companies seeking to expand or relocate within Waverley and ensuring job retention and growth within the borough.